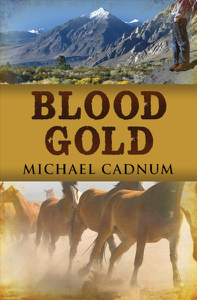 From the jungles of Panama to the gold fields of California, a young man searches for justice In 1849, there are 2 ways to reach California: overland or by sea. Traveling by land is safer—a long, slow journey across the American plains—but the water is faster. Would-be prospectors in a hurry to reach California and strike it rich, sail down the Atlantic, cross the deadly jungles of Panama on foot, and proceed north by boat to find their fortune. Willie Dwinelle, who is 18 years old, chooses this Panama route because he must reach California as soon as possible. But it is not gold that he seeks; it is justice. Willie has vowed revenge upon an unsavory character in his hometown who mistreated one of his friends. So with his impulsive ally Ben at his side, Willie braves every danger the gold rush throws at him. But the most perilous hazard is one he never expected to confront: the lure of greed.